Is it possible today that any direct mail we get is still worthy of the moniker, “junk mail”? Once upon a time it seemed that mailbox was overflowing with incredible stuff. But after the shenanigans of the 70s–no, not junk food; and in the 80s.. no, not junk bonds — that government and the USPS put the brakes on junk mail. Mean time, reputable cataloguers, mail order companies, insurance, fundraisers, retailers and publishers had raised the art to a science. Today, there is a legitimacy hurdle so high for any direct mail business, that to clear it, you have to be very, very good. And what is that screen? Economy. A typical all-in cost for a direct mail letter is around 30-50 cents a piece. Compare that to 39-cents a pound for bananas. Mail a 100 letters, and you can find the $30-$50 bucks in your back pocket. Mail a thousand, and give up your iPad. But mail 100,000 and you give up your new car. Mail a million pieces, and you have just mortgaged your home, or a boatload of bananas. That’s why direct mail is hardly junk. It is very expensive, and without this expense, it won’t work. Time to re-think that Eggies-by-mail deal. So who thinks it is junk? The persnickety consumer, of course. And why? Because they don’t want whatever is being sold that day. 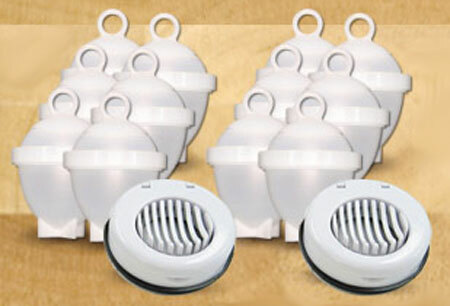 The reality is that on any day, we consumers are suspicious, and very tight-fisted. I bet we only surrender to an unsolicited sales pitch about 2% of the time, regardless of medium: mail, phone, in person, on TV, radio, or email. I do admit caving for the Eggies, which for the record are a physical impossibility. The chickens had it right from the beginning. Which leads me to a piece I received earlier this summer. 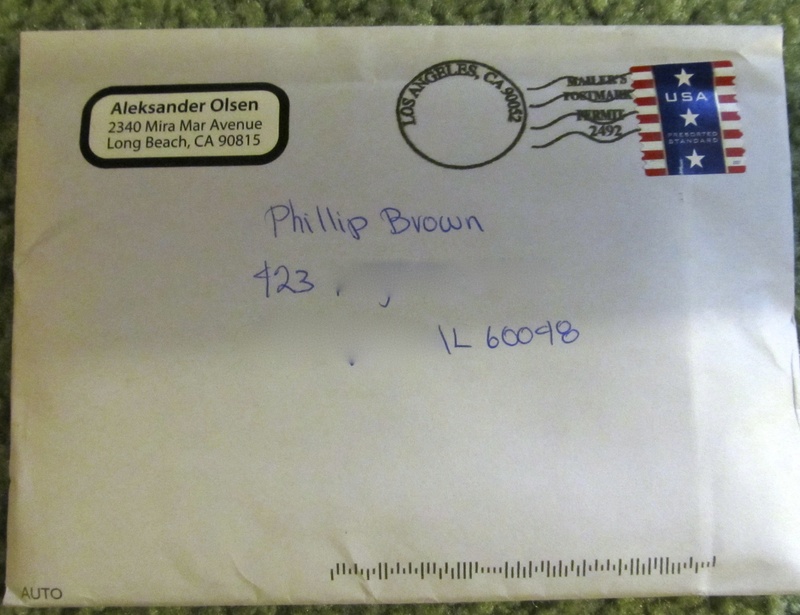 A mauve-colored, hand-addressed and stamped envelope, complete with a foil return address sticker. My antennae are up. Would this be a well-wishing note from a long forgotten contact? A wedding invitation? Birth announcement? A request for money from a relative? All of the above? No. 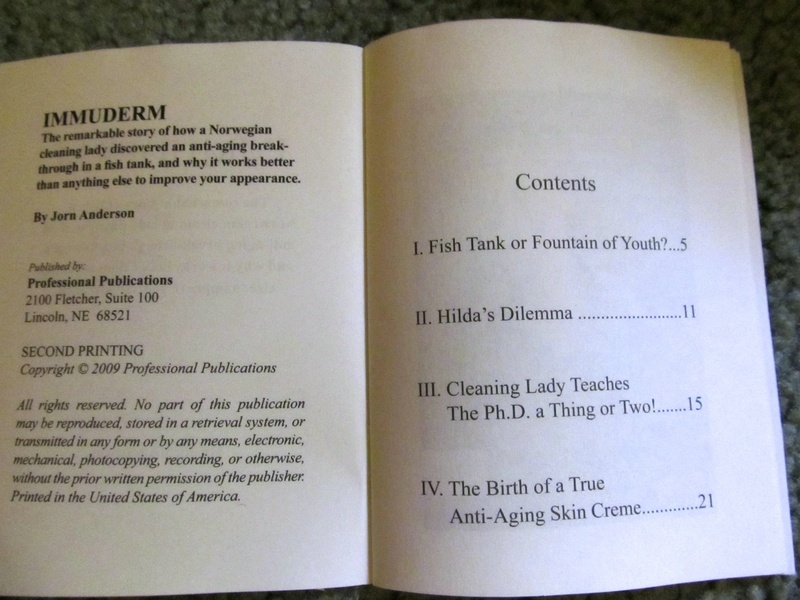 Inside the envelope was a short note from the desk of Aleksander Olsen advising on the merits of a certain skin creme. Despite the tracks and furrows that criss-cross my shrine-like body, I was not hooked. Perhaps if his credenza had written, I might have been swayed. But Olsen’s desk also sent me a 32-page booklet, and it is a work of art. It is the tale of Hilda, a Norwegian cleaning lady, who, like her entire countryfolk has a crick in her neck from living on the side of a mountain overlooking icebergs in the North Sea. 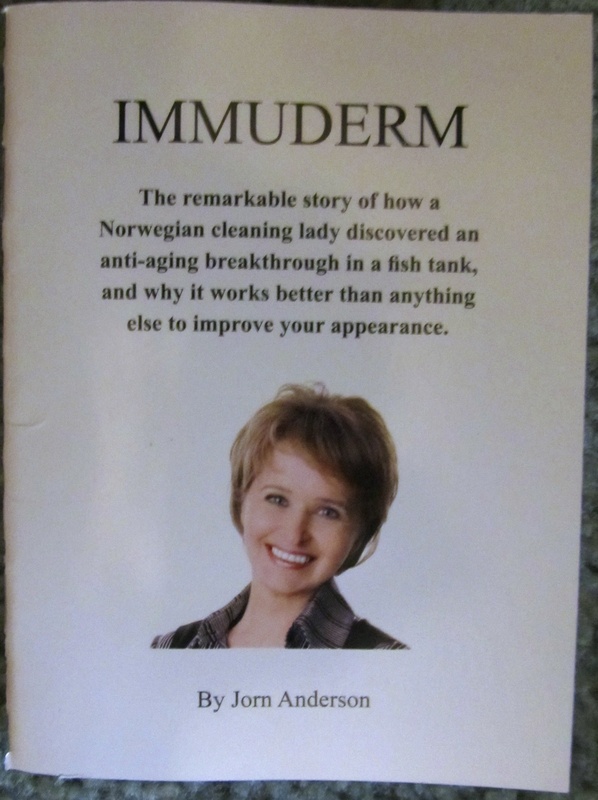 It turns out that she cleans fish tanks in Norway. If you haven’t been to Norway yet, fish is the main protein staple. Hilda’s job would be similar to that of a stable cleaner on a Kansas beef farm. Actually, I have never been to Kansas so I am only guessing on that. In any event, the booklet unfolds a page-turning saga about Hilda’s travails in the tanks. Every evening at home, as she washes up for a night out on the town, she discovers under the layers of fish elixir a fresher, tighter, more supple Hilda. She has reversed the hands of time! The story introduces a series of sub plots, so spoiler alert, let me just say that she looks great, smells great, and I can too for just $60 on a tube the size of a shrimp. Well maybe a lobster tail. The thing is, as obscure as this offer is, I don’t consider it miss-applied. I have the money. 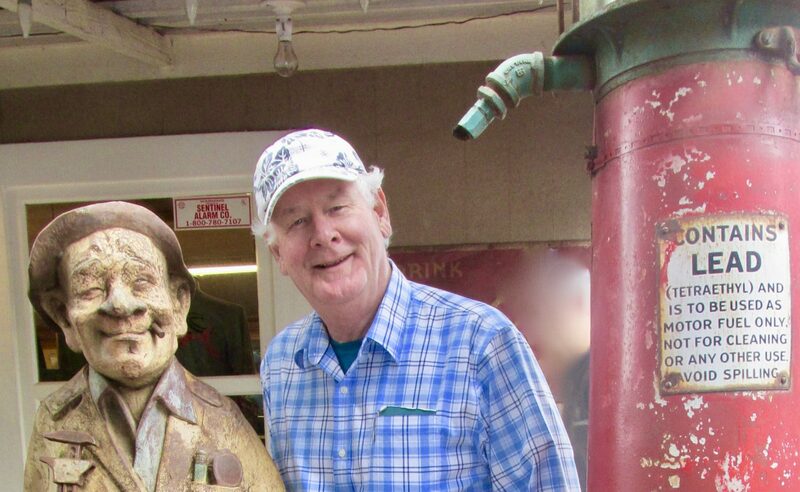 I certainly could use some air-brushing. And who doesn’t have a secret wish to smell like a school of herring? I wonder if Hilda has a cat. So to my point: Mr Olsen’s desk probably holds a business plan that reveals the path to riches selling oil of tank scrapings to prunes like me. This is hardly a junk mail enterprise. That is what I did. But it’s like riding a bike. Or fishing, maybe. Is that you on your boat? where are are you? That is us cruising Sturgeon Bay WI earlier thus summer. Right now we are in FL checking flights to get home. Nice say on the Gulf though. Keep selling! Where can I get Hilda’s rejuvenating creme. I am pretty sure I need it. Just clean your pool Gordon! !